Routine maintenance can save homeowners thousands in potential repairs, especially when it comes to plumbing. There are several steps homeowners can take to check for red flags in their plumbing systems, says Patricia Bonacorda of Spartan Plumbing. She recommends these conducting these six maintenance checks at least once a year. It may seem unrelated to the plumbing system, but lint buildup can block the drain of your washing machine if left unattended. Clear your lint trap (typically found on the internal recess of the unit) or hire a plumber to install a wire trap filter to improve drainage. Inspect hoses that connect to appliances, such as your dishwasher, icemaker and washing machine. Look for bulging or other signs of leakage. If you spot a leak, make repairs or replace with a stainless steel hose immediately. 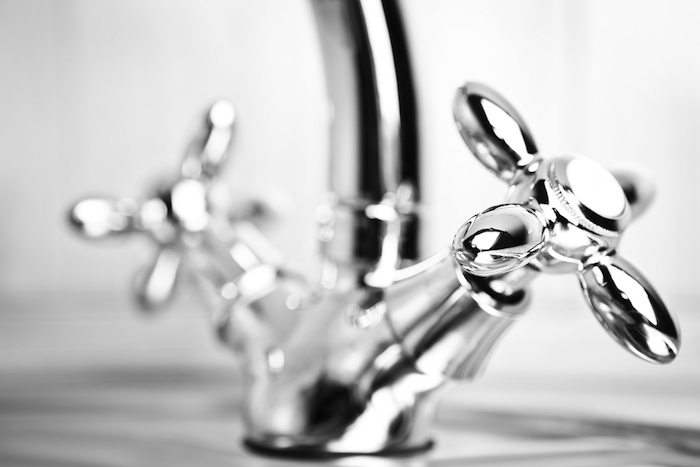 Hard water deposits can clog the faucets in your kitchen and bathrooms, reducing energy-efficiency. If you notice mineral buildup, unscrew the screen at the tip of the faucet (the aerator) and soak it in vinegar overnight. Conduct a DIY litmus test by adding a few drops of food coloring to the tanks of toilets in your home. If the water in the bowl changes colors after a half an hour, call a plumber to assess the problem. Check the thermometer to make sure the temperature is lower than 120 degrees Fahrenheit. Increase the longevity of your unit by draining a few gallons of water from the tank to eliminate corrosion-causing sediment. If your home’s basement is protected from flooding by a sump pump, test the unit by pouring a few buckets of water into the sump pit. It should activate automatically and shut off when the job’s done. For an added layer of protection, install a flood alarm.